There are many JCT contracts, ranging at the bottom end from a Homeowner Contract to the standard form. The JCT Homeowner Contract is a very, very basic form of agreement and should really only be used for light works where the provision for complexity is clearly not required. A good example would be the building of a detached garage or conservatory or perhaps the installation of a kitchen. Homeowner contracts are not suitable for major building works. 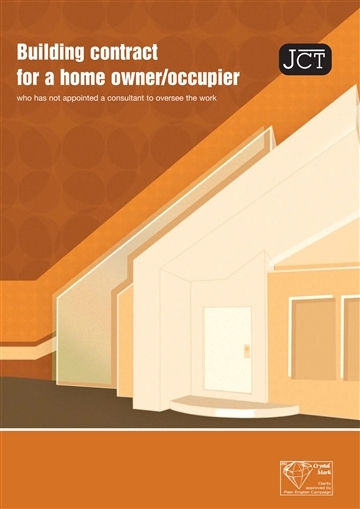 Take a look at a homeowner contract. This contract is by far the most commonly used in property renovation. the employer must provide drawings, a specification or schedule of works to define the quantity and quality of work. the price and payment structure for the contract, which is usually based on a lump sum (the price for the job) with monthly interim payments. provisions are included for collaborative working and sustainability but also cover liability and insurance. 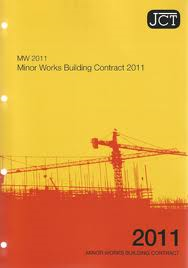 Take a look at a JCT minor works contract. The intermediate form of the JCT introduces additional complexity to the minor works contract but rather than look similar to that, is really a cut down version of the standard building contract. It is generally used to deliver contracts where there is a higher level of complexity and where the contract value reaches approximately £1million. The employer must provide drawings, and either bills of quantities, specification or works schedules to specify quantity and quality of work. Price and payment structure of the contract is based on a lump sum (price for the job) with monthly interim payments. It can be used where provisions are required to cover named specialists or sub-contractors. All sub-contractors are domestic and their performance is the responsibility of the main contractor. Provisions are included for collaborative working, sustainability, advanced payment, bonds and collateral warranties. It also specifies more detailed liability and insurance issues. 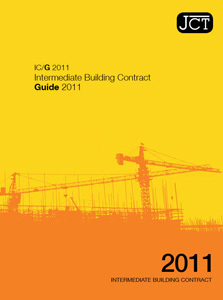 Take a look at a JCT intermediate building contract. Subcontractors can be appointed with the written permission of the architect or contract administrator. The insurance clauses are the same as under the intermediate contract. 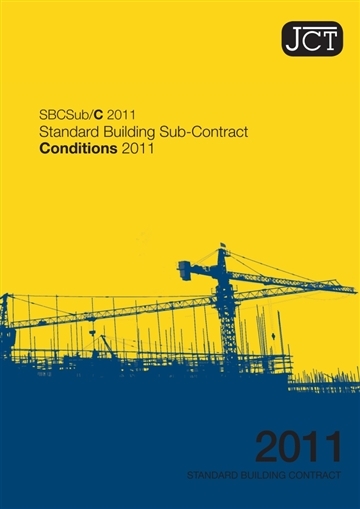 Take a look at a JCT standard building contract.